Ron Asheton, guitarist with The Stooges, has been found dead at his home in Ann Arbor, Michigan, according to this report; he was 60 years old. Police indicated the musician’s death appeared to be from natural causes. Ranked as the 29th greatest rock guitarist by Rolling Stone magazine in 2003, Asheton also acted in a few low-budget horror films beginning in the late 80s, most recently appearing in the horror comedy FROSTBITER: WRATH OF THE WENDIGO (1996). 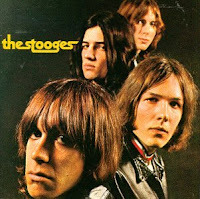 The Stooges, which included Asheton’s brother Scott on drums and the late Dave Alexander on bass, are among the nominees for the 2009 Rock and Roll Hall of Fame class this April. One hopes that they will be inducted.